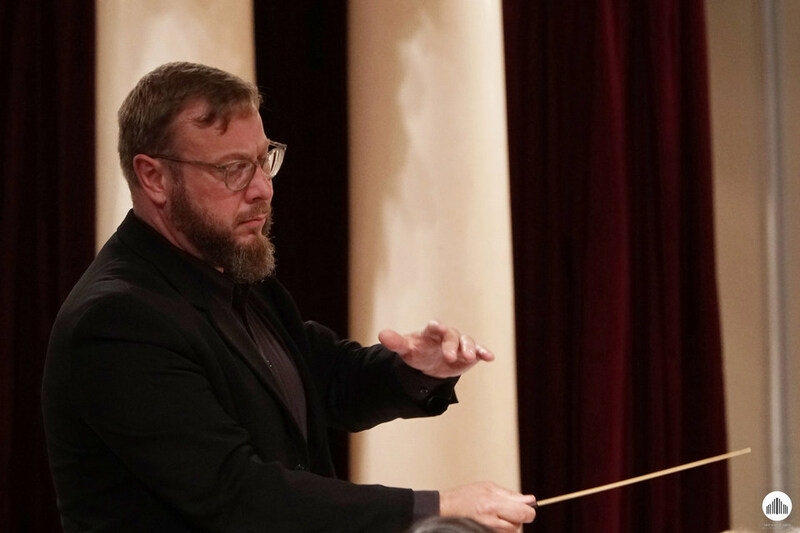 The evening with a festive atmosphere will be presented to listeners of the Organ Hall by the Ukrainian Festival Orchestra and Swedish conductor Daniel Hansson. They will perform the Third Part of the Stanislav Lyudkevich Symphony and the piece by Felix Mendelssohn-Bartholdy, written under the influence of a trip to proud Scotland. And Lviv pianist Diana Chubak will sly in the heroic Third Piano Concerto by Ludwig van Beethoven, which will become the central issue this evening. The concert will begin with the Second part of the Symphony by Stanislav Lyudkevich. We will hear it in the interpretation of a guest from the North - the conductor Daniel Hansson from Sweden. He manages the Malmö University Choir and the Orchestra. 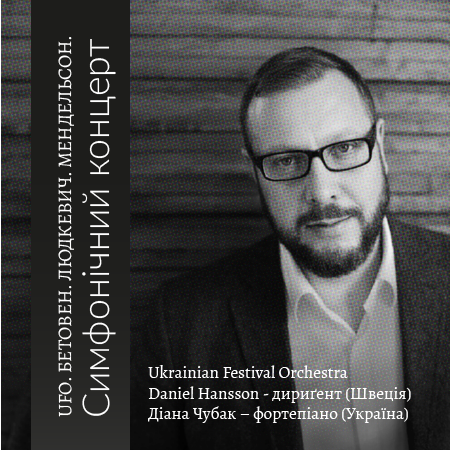 This orchestra had its first tour of Ukraine in June this year. Daniel Hansson also led several orchestras at home, collaborated with the Monte Carlo Philharmonic Orchestra and the Manaus Opera House Choir. Also, the orchestra under the guidance of Hansson will perform the Third Symphony by Felix Mendelssohn-Bartholdy. 20-year-old Mendelssohn was fascinated by the beauty of nature in Scotland and the pride spirit of its inhabitants. Local ballads, lively dances, bagpipe competitions, the gloomy castle of Maria Stewart - all the impressions the composer reflected in the symphony, called "Scottish".Piano and Orchestra No. 3 by Ludwig van Beethoven will be the decoration of the evening.The greatness of the human spirit is felt in a concert written in the heroic and tragic tone of сimoll. The work has caused a furor after the first performance and still remains a favorite of the public. The solo party of this evening will be played by a talented Lviv pianist Diana Chubak. "Good performance first of all is honest, sincere, strong energy, fantasy, based on quality technology, intellectual work," Diana sure. 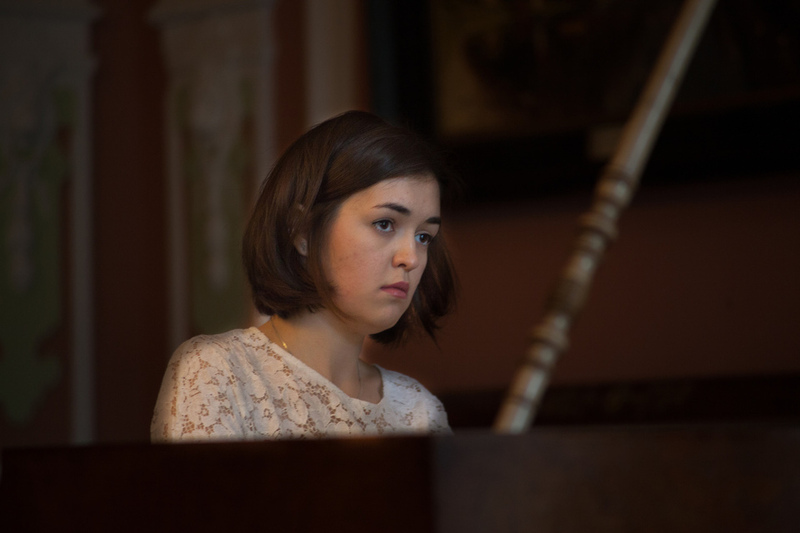 The young pianist graduated the Lviv Academy of Music, perfected her mastery with Oksana Rapita, as well as well-known pianists such as Karol Radzivonovich, Andrzej Yasinski, Martin Epsen, Matiy Recallio, Lily Dorfman, Kevin Kenner, Philip Guziano, and Tim Owens.As a soloist, she performed with the Mariupol municipal chamber orchestra Renaissance, the National Presidential Orchestra of Ukraine, the Academic Chamber Orchestra "Virtuosos of Lviv", with the chamber ensemble Academia Dell'Arco (Poland).